Though there are several countries that produce cigars, Cuban cigars are still considered to be the best by many tobacco connoisseurs around the globe. However, there are too many brands, sizes and characteristics of Cuban cigars which make it sometimes difficult to choose one. So let us give a brief review of the most popular Cuban cigar brands. Cohiba cigars may be considered as Cuban cigar industry's leading brand. These cigars first appeared in 1968 being at first supplied only to the top government officials. Since 1982 Cohiba cigars are marketed worldwide and are very popular with those who like cigar brands with luxurious image. Montecristo is the cigar brand that enjoys the greatest popularity in the world. Approximately 50% of Cuban cigars are produced under this brand. Montecristo is the standard by which all Cuban cigars are evaluated. Montecristo No. 2 cigars and Montecristo No. 4 cigars (which are the world bestseller) are famous for their unique spicy flavor which many cigar lovers call "the true Cuban cigar taste". Hoyo de Monterrey cigar brand is now leading the "new generation" Cuban cigars segment, where taste and flavor are perfectly balanced and burning properties are enhanced with the latest technological advancements. Yet these cigars retain the authentic flavor and aroma of true Cuban cigars. Another Cuban top selling brand is H. Uppmann. These cigars are available both hand-made and machine-made. Each H. Uppmann cigar has a notable "leather" flavor, though the taste is very smooth and pleasant. This review could not be considered complete without mentioning Romeo y Julieta brand. These cigars are very popular worldwide though the brand was founded to cater for the local market only. Romeo y Julieta Cuban cigars are available in various sizes, shapes and contain many different tobacco blends. You can rarely meet a Cuban cigars lover who has never heard of Rafael Gonzales cigars. This brand was founded in 1928 and its current name was assigned in 1945. Since that Rafael Gonzales cigar brand has been catering to those who like smooth and mild but yet rich taste of the best Cuban tobacco blends available. The last Cuban cigars brand we want to mention in our brief review is Vegueros. The fact is that it is not easy to buy Vegueros cigars these days, as the stock has recently run out due to the discount prices. These Cuban cigars have a somewhat "herbal" flavor and possess the unique complexity of taste as they have been ageing for years while in stock. Whatever Cuban cigar you prefer, you can be sure you'll get the superb taste and quality as many cigar production facilities function under the careful governmental control. Add to this the unique flavor and aroma of all Cuban cigars tobacco blends which differ from one province to another and you'll understand why Cuban cigars are so popular all over the world and remain the desirable tobacco product for every connoisseur. 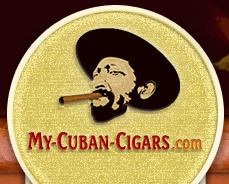 If you follow this link, you'll find more great stogies from the rest of the world.